Viresco Solutions’ technical bench strength, commitment to professional integrity and pragmatic approach to problem solving makes them an attractive strategic partner. I have worked with every team member at Viresco and always enjoyed the experience. 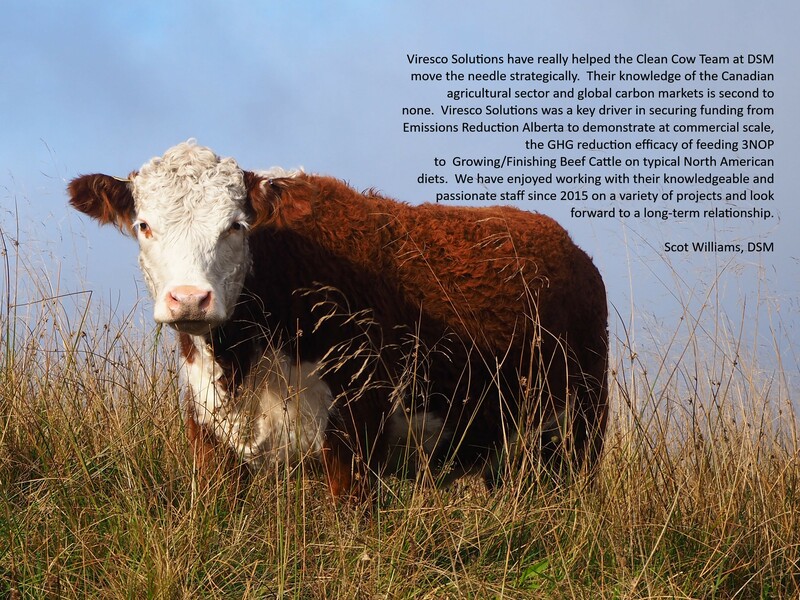 Viresco, DSM and a consortium of Alberta agricultural partners have worked together to demonstrate a feed ingredient for cattle that significantly reduces cattle-based methane emissions. 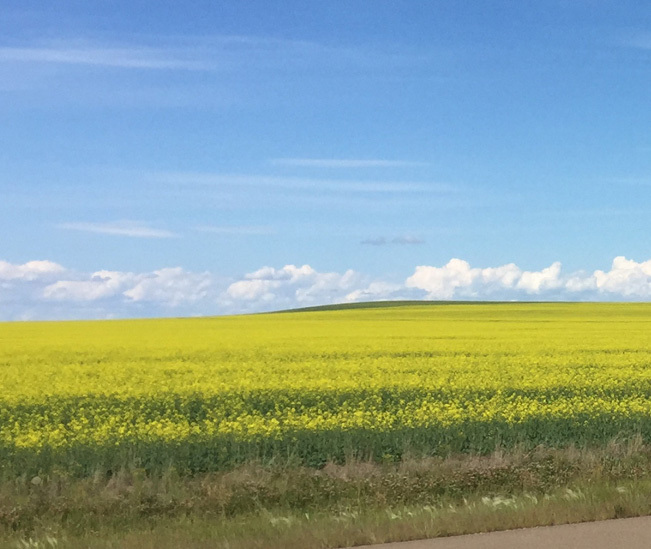 The ingredient can be introduced to regular feeding regimes to reduce the methane produced by each animal, enabling substantial reductions in emissions from Alberta’s beef and dairy industries. This project is funded in part by Emissions Reduction Alberta. Viresco developed and tested a Carbon Accounting and Insetting Framework for the National Corn Growers, Soil Health Partnership, Bayer and other partners through a USDA Conservation Innovation Grant. The Framework is designed to be adapted to a variety of practice changes for agri-businesses. In this CIG project, participating companies partner with farmers in their supply chain who take steps to reduce Greenhouse Gases on their farms. Although many different pathways have been explored for corporate GHG reduction, such as purchasing offsets, the concept of insetting brings many co-benefits that offsetting doesn’t have. As an investment, insetting can move the company several steps closer to being carbon neutral, while also improving efficiency, strengthening communication and trust within the supply chain and improving communities. Viresco Solutions worked with McDonalds to design an indicator/verification framework for beef production and processing and demonstrate that sustainably produced beef can be tracked through the supply chain. 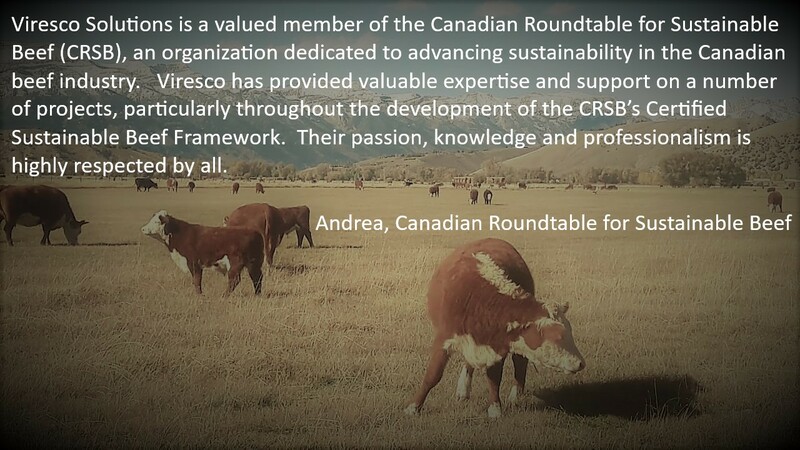 The team developed a series of indicators for use in Canada that align with the Global Roundtable on Sustainable Beef Principles and Criteria. Viresco Solutions was involved in field engagement, data analysis and developing the resources to train field managers to assist producers in evaluating their sustainability practices to prepare for verification. This enabled McDonalds to meet their objectives. 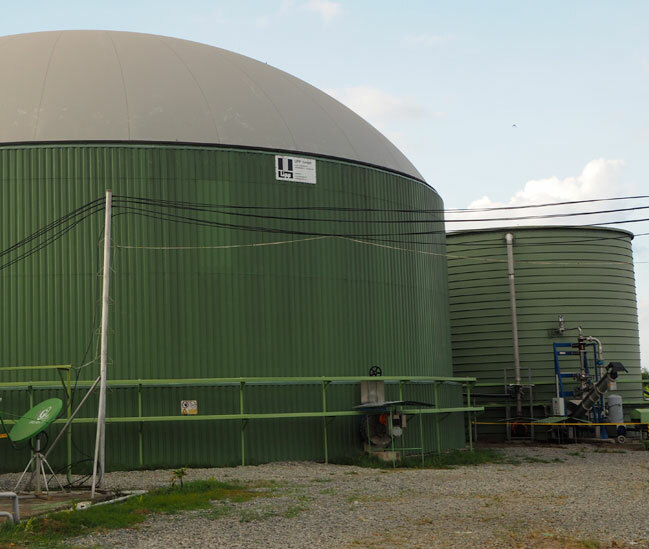 Viresco, in partnership with the University of Alberta, employed strong knowledge of biogas and waste-to-energy systems, alongside strategy development and analysis skills, to determine the benefits and barriers to growth of the biogas industry in Alberta. 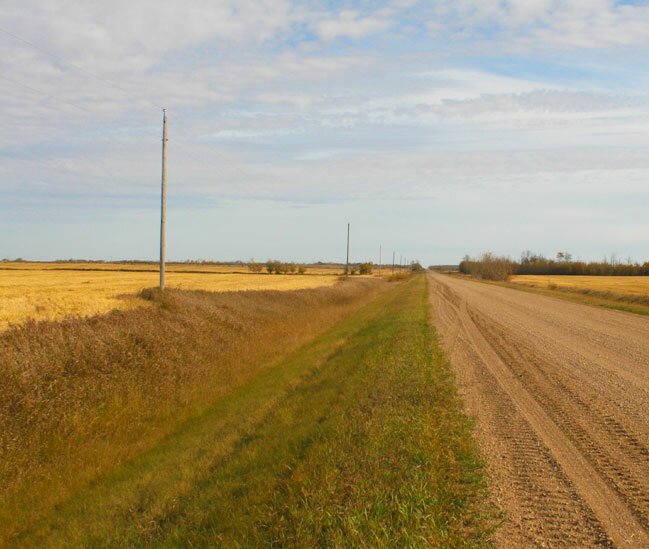 The analyses, research of other jurisdictions, and stakeholder engagement, led Viresco to propose cost-effective regulatory, funding and market-based strategies to drive biogas developments in Alberta. The findings are published in a publicly-available white paper. This work was updated in 2017 to more accurately report on the 2015 – 2016 production results and status of the industry under the new Bioenergy Producer Program.